Study skills and exam preparation workshop for senior cycle students. The course is designed for senior cycle students and is offered within the school setting or at a central venue. 1. Teachers who have students with dyslexia in their classes. 2. Teachers who have been allocated some SEN classes and have not received any formal training on SEN teaching. 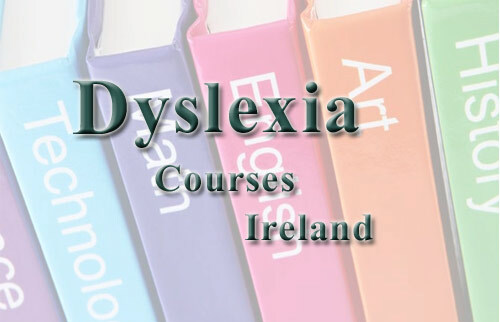 Although the course deals in particular with dyslexia, many of the strategies and resources will also help when working with students with other specific learning difficulties such as Dyspraxia. Dyslexia and how it affects the student at second level. Classroom teaching and learning strategies. Strategies/resources/classroom planning for the SEN class. Study skills which help the student with dyslexia. 'Lovely introduction to teaching SEN for a mainstream teacher'. 'Practical approach, student focussed at all times, no filler'. Please use the contact form on this website to request further details. Dyslexia at second level and how it affects students. Understanding the psycho-educational assessment and its implications for teaching and learning. Whole school policies which support the student with dyslexia and the development of literacy. Classroom strategies, in particular strategies which help with reading, comprehension, memory, spelling and writing. The presentation is two hours, but can be adapted to facilitate the school needs. What students with dyslexia find difficult about Maths. Different cognitive strategies in Maths learning. The impact of anxiety on learning in Maths. Approaches that have been found to be effective in Maths learning. Students with dyslexia may experience difficulties with organisation, reading, memory and learning note-taking, writing and spelling. This course is for teachers and concentrates on practical study skills and strategies that will help the student achieve. How parents can help the student with homework and learning. Developing reading skills at home. Key educational choices such as subject choice. Supports such as RACE and DARE. The presentation is an hour and half followed by a half hour for questions. It would also be suitable for parents of students with other specific learning difficulties such as dyspraxia.